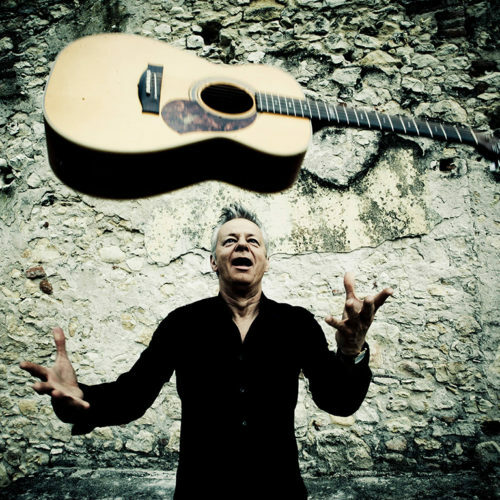 Tommy Emmanuel Vail Mountain | 4 Days and Nights of Rocky Mountain Finger Picking Goodness! 4 days and nights of rocky mountain finger picking goodness! Tommy Emmanuel Guitar Camp Vail is an event for players and music-lovers of all ages, levels, interests, and taste! Whether you are a master player, a beginner, or just an enthusiastic fan, our four day programs offer activities and workshops for you. Our environments are non-competitive and are strictly about immersing oneself in the joys of music and our lovely surroundings! Participate in the camper concert and play your song for Tommy! 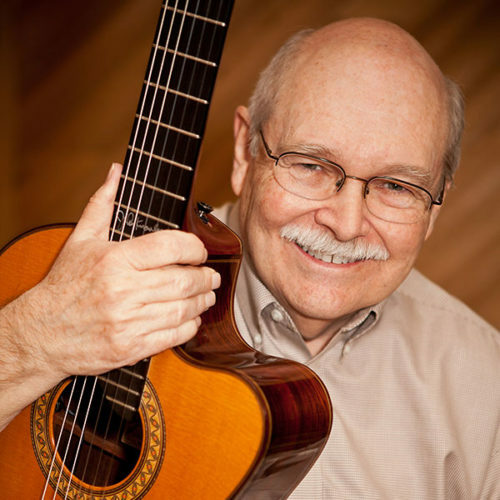 Topics to be covered by Tommy and the instructors will include a wide spectrum from finger picking, using your thumb and fingers, composition, song arrangements, the blues and improvising, performing as a combo, and much more! Tommy Emmanuel Guitar Camp Vail is an event for players and music-lovers of all ages, levels, interests, and taste! Whether you are a master player, a beginner, or just an enthusiastic fan, our four-day programs offer activities and workshops for you. Our environments are non-competitive and are strictly about immersing oneself in the joys of music and our lovely surroundings! Hello friends! I’d like to personally invite you to join me at my upcoming Tommy Emmanuel Guitar Camp USA at The Lodge in Vail, Colorado, taking place June 13th – 17th, 2019. As everyone knows, John Denver sang a lot about the Rocky Mountains and made us all aware of the beauty of the scenery, the freshness of the air. I’ve been playing in Colorado since the early 90s and though I don’t ski, I’ve always wanted to go to Vail. That’s one reason this year’s Guitar Camp USA is taking place at The Lodge in Vail, Colorado. There’s nothing quite like the Rocky Mountains in summer, everything about it is going to really make people appreciate nature that much more. I would have to say Guitar Camp Vail is definitely going to feature my most diverse lineup thus far: Tuck & Patti, Joe Robinson, J.D. Simo, and, Rob Ickes & Trey Hensley. The instructors that I’ve chosen to join us reflect such a wide range of styles – jazz, bluegrass, country, blues, fusion, even jam band rock ‘n’ roll. Each one has been carefully selected to bring something totally different to the camp. Each one of them is going to bring something good and unique that should prove to be enlightening for everybody. All the teachers are incredible live artists so they’re definitely going to bring the importance of performance to the camp on a greater level than ever before. Each one can speak from their real-life experience, the same as I do. I always try to share things from my perspective with the people attending my camps, letting them know what I’ve learned and what I think will genuinely help them become better players. Nothing is ever sugarcoated at my camps. It’s all real. People get the real information. 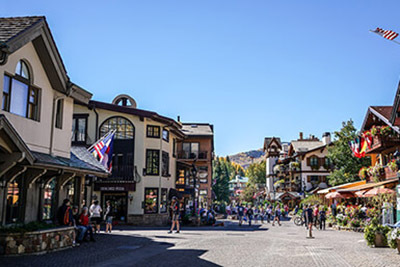 My Guitar Camp USA at The Lodge in Vail, Colorado will, of course, include four full days of lessons, workshops, and performances, with some very special outings also planned so that we all get a real taste of the Rocky Mountain air. The Tommy Emmanuel Guitar Camp has evolved in so many ways over the years. Each time we learn something new that makes my next camp even more special. We want to give people the right amount of teaching but also enough time to jam, socialize, and really absorb the information that we’re trying to hand on to them. I think what makes my event stand out from other guitar camps is that we always try to strike the right balance between giving people enough information versus giving them enough space to do their own thing. I hope you’ll join me for this next Guitar Camp USA. Can’t wait to see you all in Vail! 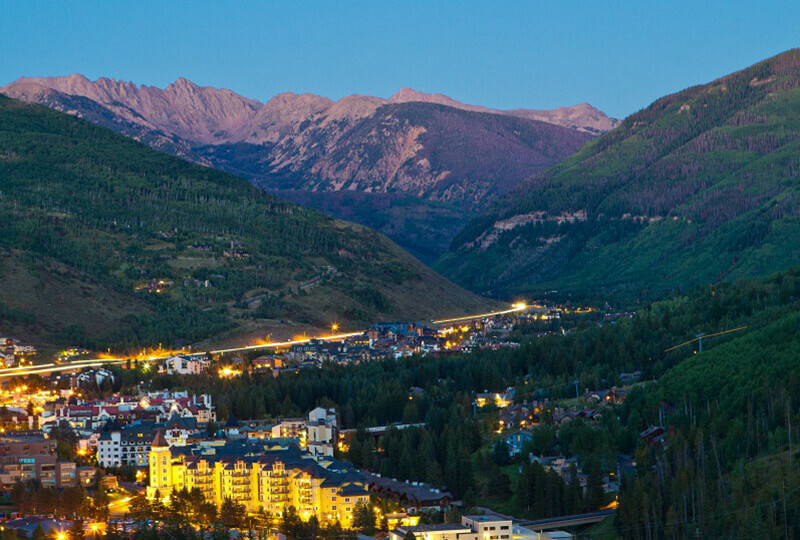 Vail, Colorado is not just a winter wonderland but a prime summer destination. 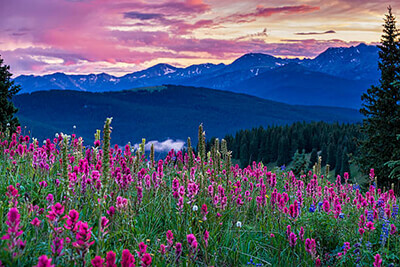 Breathe in the crisp mountain air of the Colorado Rockies atop Vail mountain. 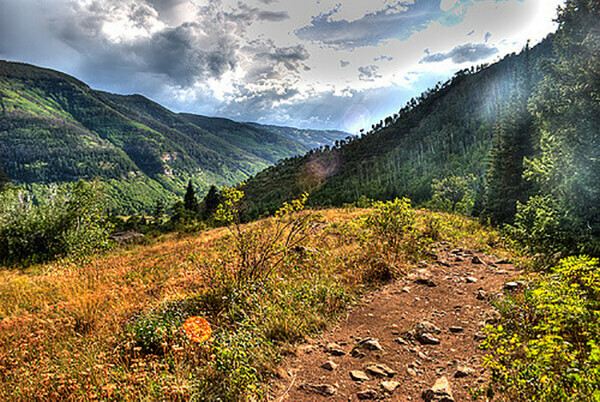 Enjoy an array of outdoor activities including hiking, fly fishing, and mountain biking. 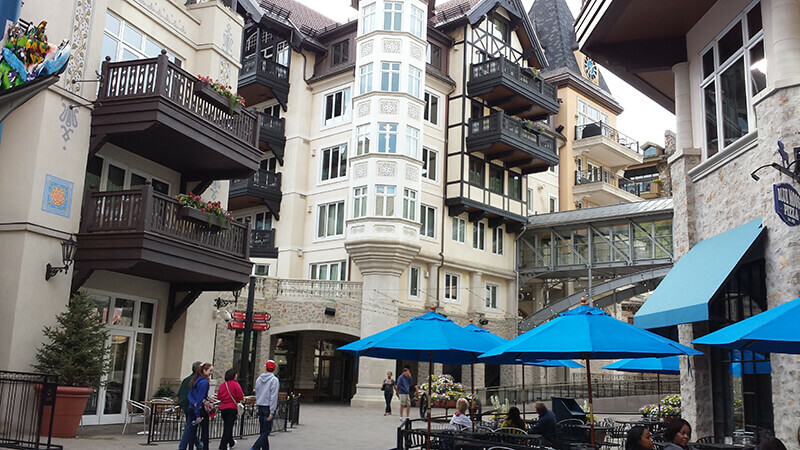 If the outdoors aren’t for you, Vail hosts world-class shopping and an array of restaurants! Trek Vail Mountain to capture stunning views, golf at world-class courses, test your fly fishing abilities in the Eagle River. 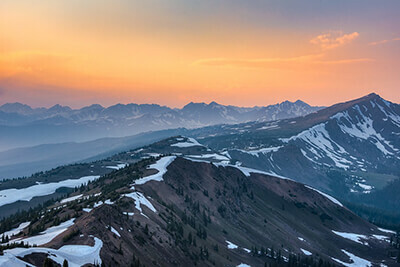 There are also numerous companies that provide gear rental and outdoor activities to enhance your time in Vail. 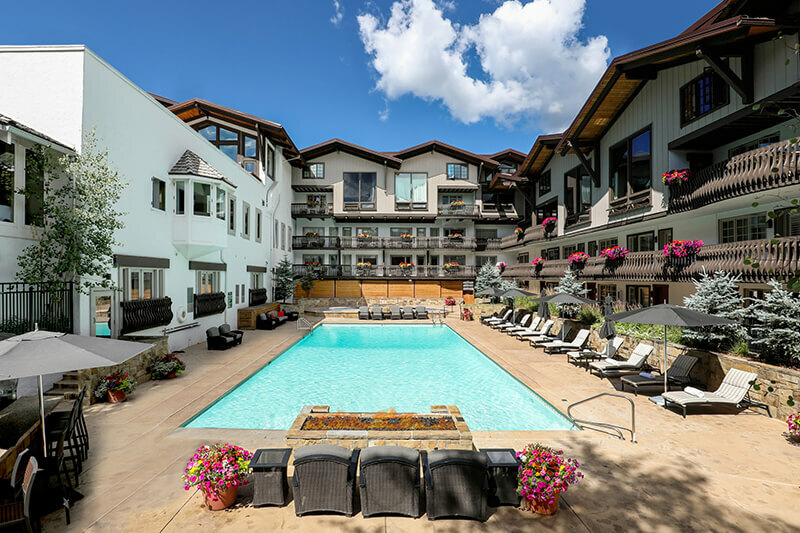 The possibilities are endless when you’re in Vail! 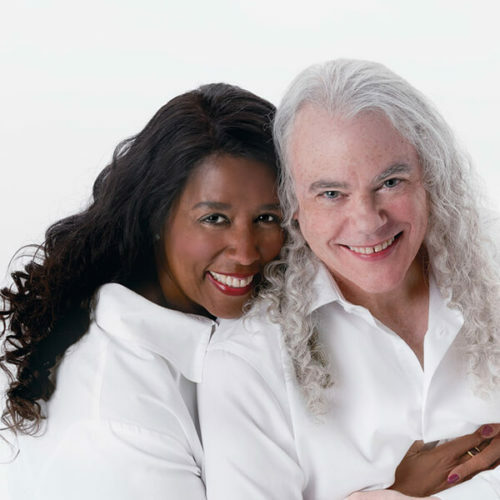 Having Tuck & Patti as our Special Guests is going to be a treat for everybody. It brings us both a singer and a great guitar player who work incredibly well together. It will give us a chance to focus on what it takes to be a great accompanist because Tuck certainly is that. Together they make a really powerful unit and I think they’re going to bring powerful stuff to the camp. Joe Robinson has a great way of teaching, an approach that reaches both older and younger people. 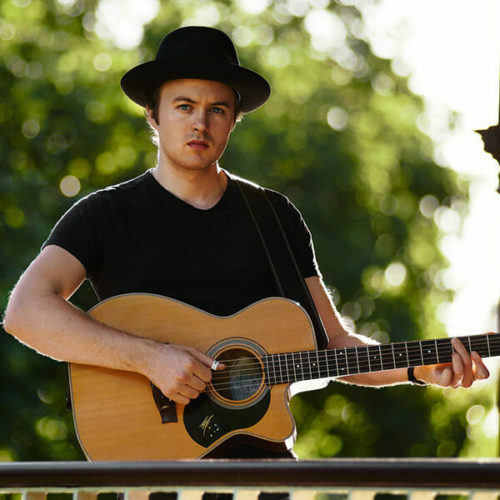 Twenty-six-year-old Australian Joe Robinson is a world-class virtuoso guitarist and singer/ songwriter with a unique musical sensibility, injecting a unique fusion of rock, blues, R&B and jazz into a fresh sound that is entirely his own. Displaying his virtuosity on electric as well as acoustic guitar, Robinson was voted “Best New Talent” in the Guitar Player Readers’ Poll and landed a coveted spot as one of Australian Guitar Magazine’s Top 50 Best Guitarists. Robinson started playing guitar at age nine and when he quickly outpaced his guitar instructor, began educating himself via the internet. At age 11 he was a touring guitarist and at just 13 years old, he won the Australian National Songwriting Competition. Within a couple of years he was touring regularly and sharing stages with artists such as Tommy and Phil Emmanuel, both of whom served as mentors. When a 16-year-old Robinson burned through a Chet-inflected medley of “Day Tripper” and “Lady Madonna” in 2008 at the opening round of the nationally broadcast Australia’s Got Talent television series competition, the entire house—including the judges—gave him a standing ovation. He went on to win $250k with his take on Tommy Emmanuel’s arrangement of “Classical Gas.” Robinson has toured North America and abroad (China, Japan, Europe, and Australia) playing numerous festivals, including Bonnaroo, and headlining clubs, which has enabled him to define himself as a budding world visionary. 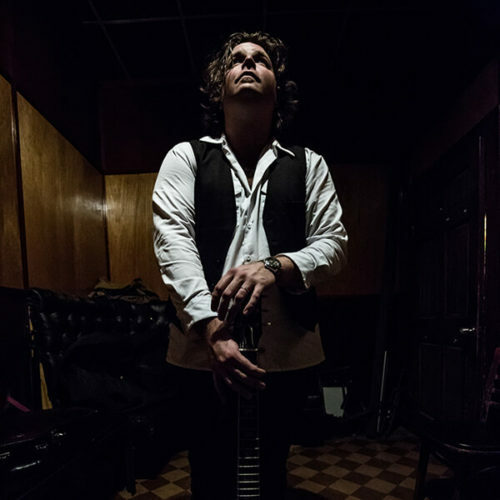 In his solo show, there are a few moments where he physically has two guitars — one acoustic and one electric — strapped over his shoulder and is playing them expertly at the same time. J.D. Simo is a wonderful teacher but since he can talk about R&B and country music and rock ‘n’ roll music, he’s coming from a totally different perspective than any of our other guest instructors. J.D. also demonstrates things better than just about anyone I’ve ever seen. Simo grew up in Chicago. He began playing guitar at the age of five. By age 15, Simo had already formed a band and released a live EP recorded in Phoenix Arizona, which sold 5,000 copies. He quickly earned a strong local following in the Phoenix area, pleasing crowds of all ages with dynamic stage performances that showcased his guitar skills. He spent most of his teenage years touring, either in his own solo endeavors or in various other bands. In the winter of 2006 he moved to Nashville, Tennessee where he established himself as the lead guitarist in the Don Kelley Band. This led to Simo’s employment as an in-demand session musician. Simo continued to play in this capacity until 2011. In the beginning of 2010, he joined bassist Frank Swart and drummer Adam Abrashoff to form the rock band SIMO. They spent much of 2011 on tour and released their debut album in November. They closed out the year with a homecoming show at The Basement in Nashville, the site of their first show. Sundazed Records released a vinyl single of Shake It/AoH off their debut album on January 25, 2013. SIMO was featured at several festivals including Mountain Jam and Bonnaroo in the summer of 2013. Simo maintains an online blog, featuring videos of his playing style as well as information about vintage music equipment. In addition, Simo often films promotional videos for Carter Vintage Guitars in Nashville, Tennessee. 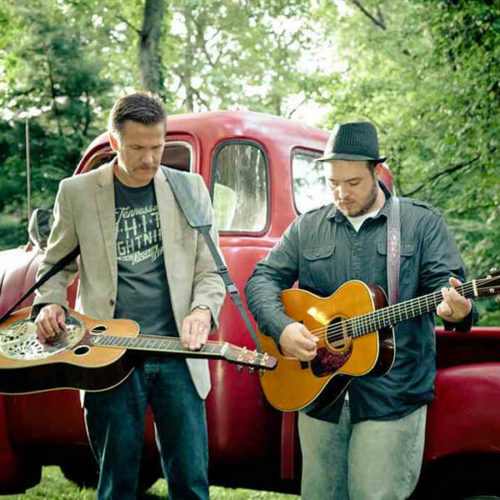 They’ve performed in places as close to home as Nashville’s world-famous Station Inn—a frequent and favorite showcase–and as far away as Denmark’s Tonder Festival as well as an impressive number of the most prestigious U.S. music festivals, including MerleFest, Rockygrass, ROMP, Wintergrass, Bluegrass Underground, AmericanaFest, and the Freshgrass Festival, just to name a few. On the books for 2018 are performances at IBMA’s Wide Open Bluegrass Festival, Vancouver Island MusicFest, Sisters Folk Festival, the Strawberry Music Festival, Larryfest, the Pagosa Folk & Bluegrass Festival, Guitar Town, the Bear Creek Folk Festival, and a co-bill with Jorma Kaukonen at Fur Peace Ranch in Pomeroy, Ohio. The duo has toured the European continent four times, as well as England, Ireland, and Australia, with more European dates set for 2018. The duo, who is currently working on their third album, shared a number of concert bills in 2017 with the great and influential mandolin master David Grisman and Australia’s fleet fingerpicking guitarist Tommy Emmanuel, both enthusiastic admirers of the duo. Take I-70 west until you reach the second Vail exit, Vail Village #176. Go around the roundabout, under I-70, heading directly toward Vail Mountain. As you arrive at the roundabout, take the second right onto Vail Road (hospital), heading directly toward Vail Mountain. Continue straight through the stop sign, you will cross the Gore Creek Bridge, and the road will arc to the left. 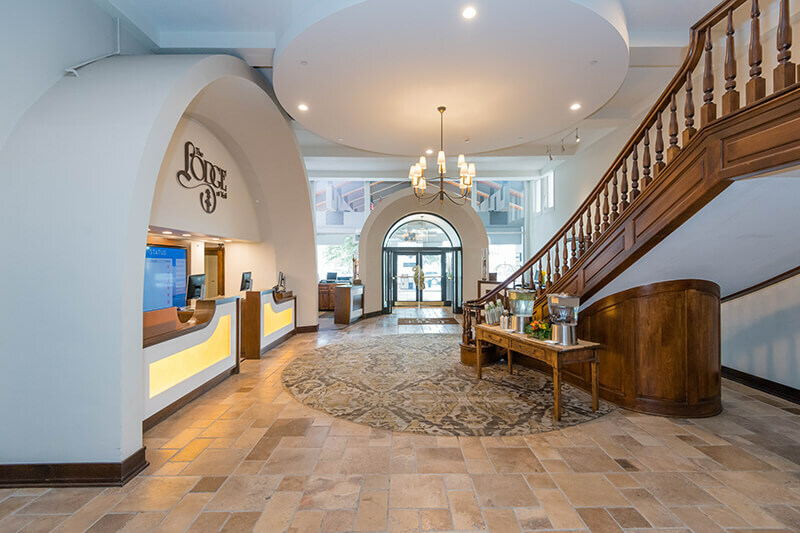 The entrance gate to The Lodge at Vail will be on your right-hand side. Proceed on I-70 east until you reach the second Vail exit, Vail Village #176. Standard Room with two beds and a roommate. You may either name a fellow registrant as your roommate or one will be assigned by Dreamcatcher Events. Roommate matches are based on age and gender. If signing up with a roommate in mind, please enter their name in the “Roommate” field as you continue registration. Pricing is per person. Standard room with one bed. 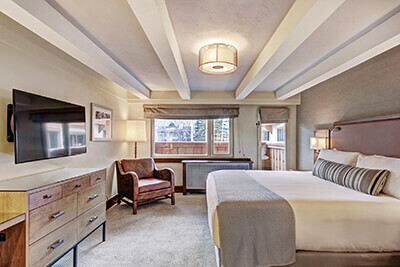 All attendees must stay at the Lodge at Vail. Pricing is per person. 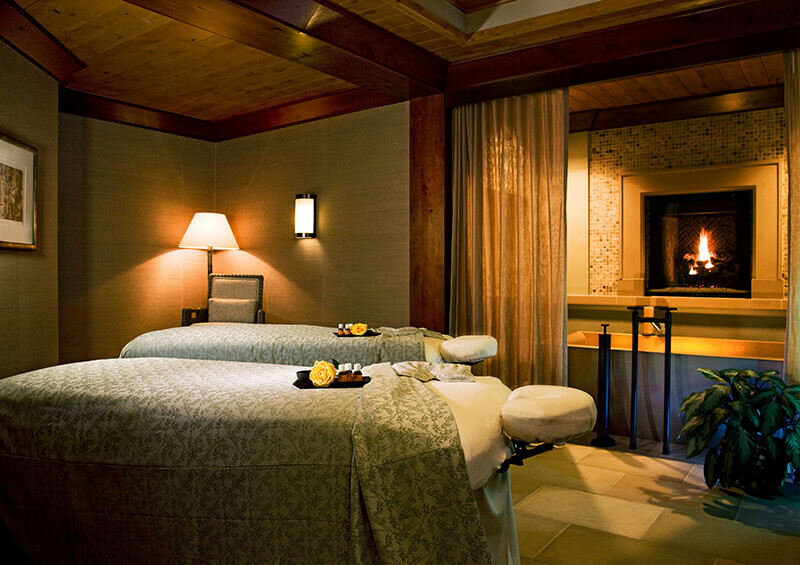 If you would like to have your loved one join you at the Lodge at Vail but not participate in workshops, we recommend this price point. You both share the accommodations, dine together with the group for all meals, and attend all evening concerts together. The room includes one king bed. Pricing is for one participant and one non-participant. 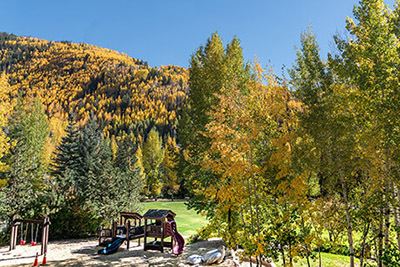 If you would like to have your loved one join you at the Lodge at Vail but not participate in workshops, we recommend this price point. You both share the accommodations, dine together with the group for all meals, and attend all evening concerts together. The room has two queen beds. Pricing is for one participant and one non-participant. 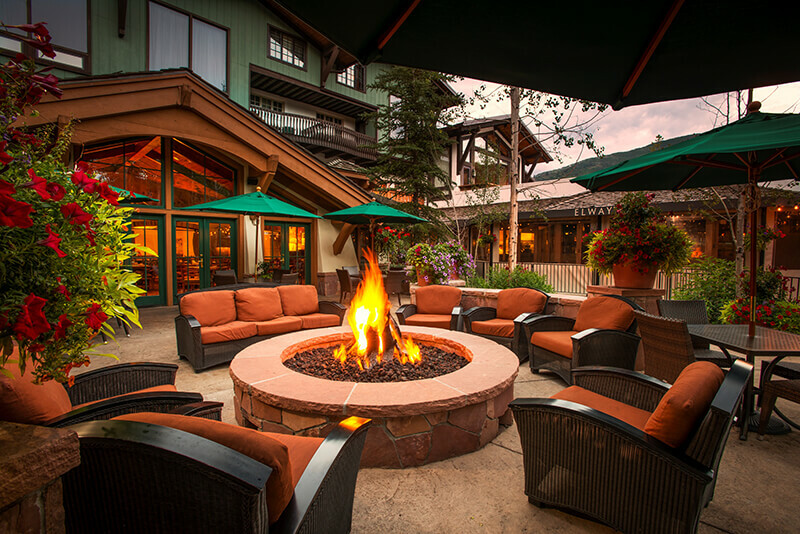 If you would like to have your loved one join you at the Lodge at Vail and participate in workshops, we recommend this price point. You both share the accommodations, dine together with the group for all meals, attend all workshops and evening concerts together. The room includes one king bed. Pricing is for two participants. Your decision to register for Tommy Emmanuel Guitar Camp Vail constitutes your acknowledgement of and consent to all of the registration, payment and cancellation terms and conditions listed below. Dreamcatcher Events, LLC reserves the right to use photos and videos taken during Tommy Emmanuel Guitar Camp Vail, including photos that include the images of any attendees, and to use such photos for advertising and marketing purposes. I hereby release Dreamcatcher Events, LLC, its employees, managers, vendors, owners and all associated entities, from all claims, liabilities, loss to property, damages, injuries, etc. arising out of or in connection with my purchase and/or participation in any aspect of Tommy Emmanuel Guitar Camp Vail.